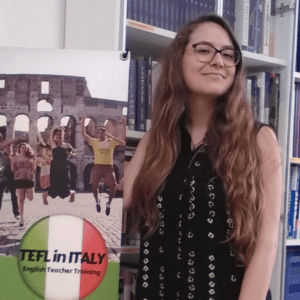 Why should you choose TEFL in Italy? If you are thinking of becoming a teacher of English to speakers of other languages, you want to be sure that the TEFL / TESOL course you are intending to take is the right one for your purposes. Rome is a fantastic city to live and study a TEFL course in. Surely one of the most beautiful cities in the world and the cradle of western civilization, you’ll be surrounded by culture and history. It is an incredible city with great panoramas, piazzas, buildings, churches, ruins, museums and wonderful restaurants. In addition, if you are planning to work and live in Italy, it makes sense to do your TEFL training in Italy. You will experience a typical language school environment with typical Italian students along with a wide range of resources and facilities. There are many TEFL courses out there, but most of them are unaccredited. We offer the Trinity CertTESOL course which is validated by Trinity College London and recognised by the British Council and employers worldwide. Credits are also awarded towards degree programmes offered by universities in the UK. Other TEFL courses will not have the same credibility, therefore may not be effective in helping you to start your career as an EFL teacher. The content of any TEFL course should be carefully considered. At TEFL in Italy, we offer interactive input sessions where you will learn teaching skills and develop language awareness; a minimum of 6 hours of teaching practice where you will be assisted in lesson planning and given constructive feedback to help you improve your skills and workshops about finding teaching work in Italy and worldwide. Here you can find our course overview. The other key factor to consider when doing a course is the quality of the training team. All our trainers have years of teaching experience and advanced teaching qualifications such as an MA in Applied Linguistics and the DELTA or Trinity diploma. Even more importantly, all our trainers have a passion for training teachers and the English language. While we recognise that the course is intensive we do not agree that TEFL courses should be like boot camps. We make sure you develop your teaching skills on the course and we also give you plenty of time to reflect upon your particular teaching style. Teachers are not robots and we aim to help you identify your teaching strengths and learn how to use them to best effect in the classroom. We are committed to keep our course fee below the industry average. And when you use our Early Bird Discount, you also get €150 discount! Our team provides support throughout the course experience. Before the course, we make ourselves available to make the transition process easier for the students. We will help you locate accommodation and answer any questions you might have regarding your time with us. We continue to offer help and advice even after the course has finished. And of course, we offer job guidance to all of our successful graduates. In addition, for non-Europeans we offer visa support in order to obtain a student visa to study or work legally. We provide you with the required documents to apply for your visa and guide you throughout the process. The most important part of getting TESOL certified is finding a job when it’s all over. We help you throughout the course and beyond to develop a foundation to be successful in the TEFL job market. Here you can find more detailed information . Here you can read what our graduates say about our course programme. We also have a TEFL blog where you can read regular blog posts about living, working and teaching in Italy. Our contributors include our own TEFL graduates and staff members.